Menallen Preparative was set up as in 1748 by Sadsbury Monthly, having been an Indulged Meeting since 1733. In 1748, the meeting became part of Warrington Monthly Meeting, the registers of which show that the first marriage to be conducted at Menallen in 1751. 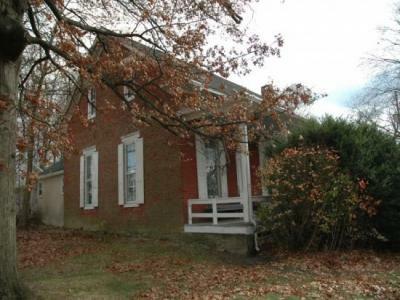 Menallen's earliest meeting house was a log structure, which they tore down in 1838, and rebuilt on a new property in Flora Dale, about a mile south of Bendersville. About 1890, that structure was replaced by the red brick building currently in use. After the Newberry Preparative meeting sold their meetinghouse in Newberry, they moved a bit further out toward the west and built a new meetinghouse. After the meeting was laid down, the meetinghouse and grounds were placed under the care of Menallen Monthly.